A handy, versatile little machine that makes toasted sandwiches and waffles whilst saving valuable kitchen counter space. Each plate has its own controls so you have the option to use both at the same time or separately. The deep moulding of the metal plates allows for plenty of filling in your toasties, while the strong seal stops anything escaping. The waffle plate divides each waffle into four, perfectly dimpled portions ready for sweet or savoury toppings. 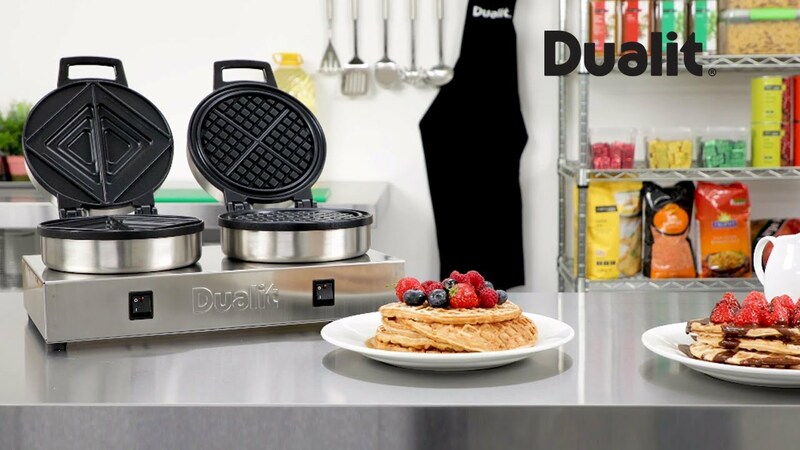 Both the waffle maker and the toastie plate have their own, individual controls, so you only need to switch on the one you want to use. Each plate is made from top grade stainless steel and covered with two layers of non-stick coating, so cleaning is easy and fast.